All brushes are packaged in peggable sleeves. 6 & Flat 2, 4, 6 Long Artist Lacquered Wood Interlocked White Bristle Bristle sizes, Interlocked construction which enhances the characteristics of natural hair. 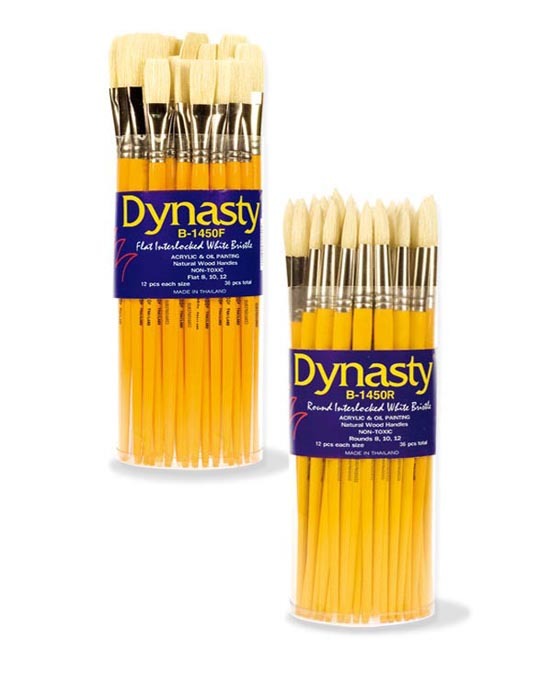 This brush series will move a lot of paint. 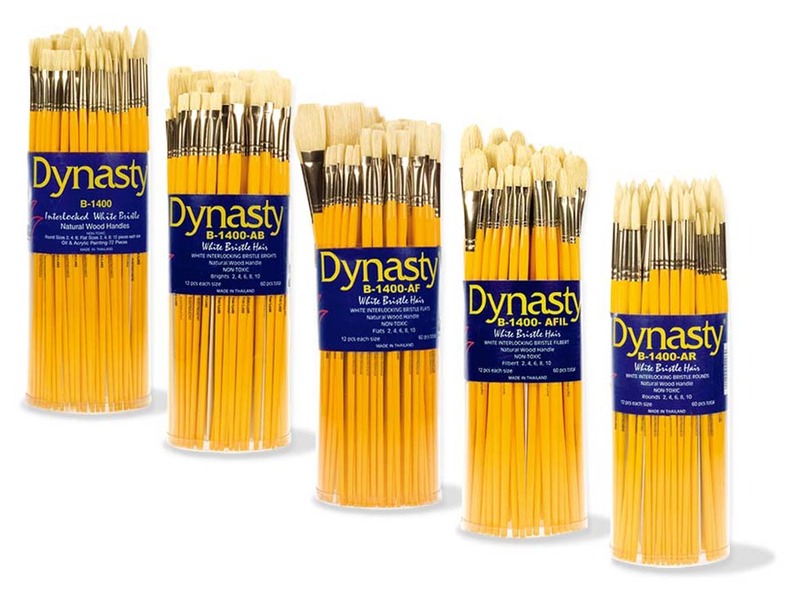 6, 8, 10 Long Artist Lacquered Wood Interlocked White Bristle Bristle sizes, Interlocked construction which enhances the characteristics of natural hair. 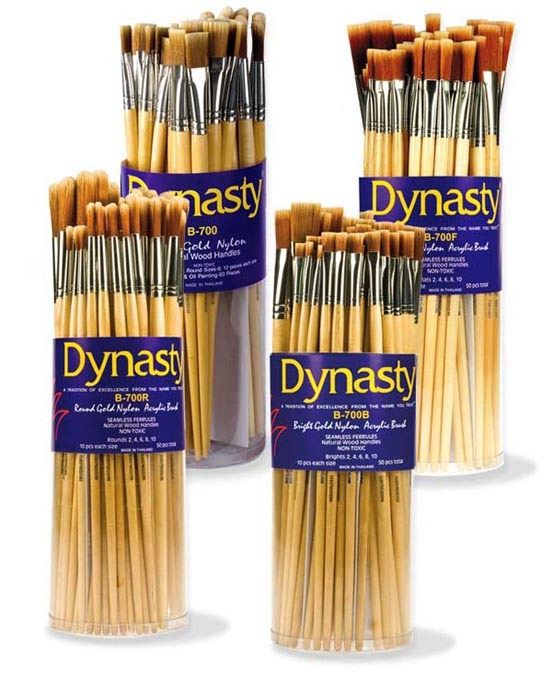 This brush series will move a lot of paint. 6, 8, 10 Long Artist Lacquered Woodc Interlocked White Bristle Bristle sizes, Interlocked construction which enhances the characteristics of natural hair. 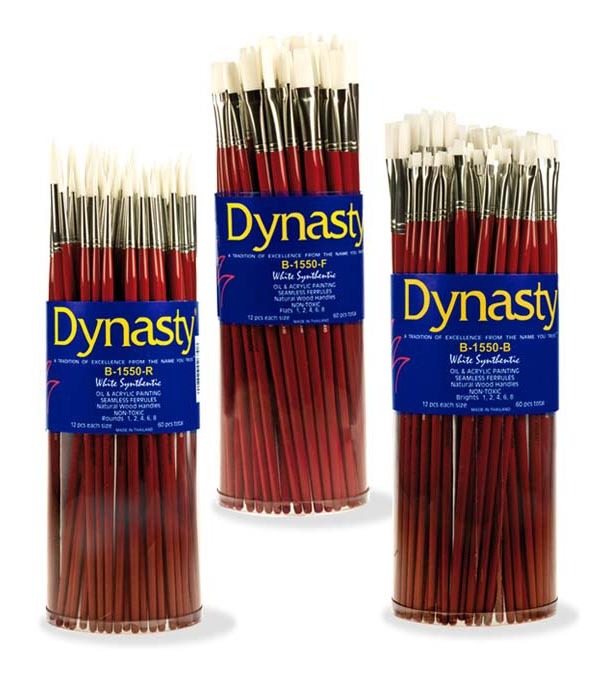 This brush series will move a lot of paint. 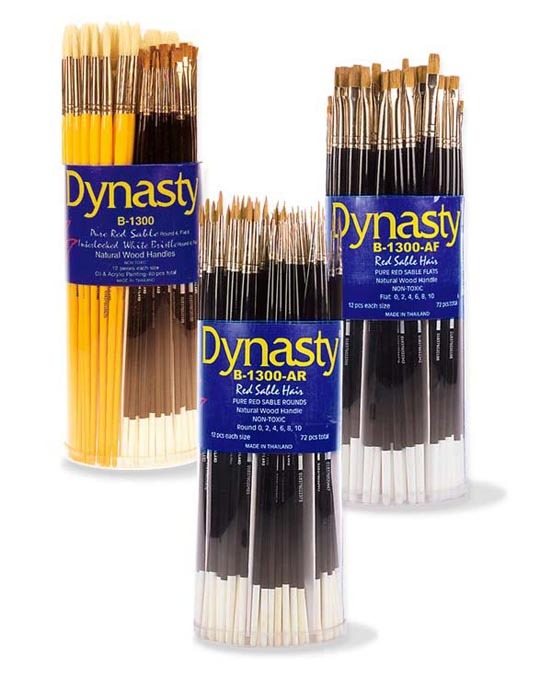 6 & Filbert 2, 4, 6 Long Artist Lacquered Wood Interlocked White Bristle Bristle sizes, Interlocked construction which enhances the characteristics of natural hair. 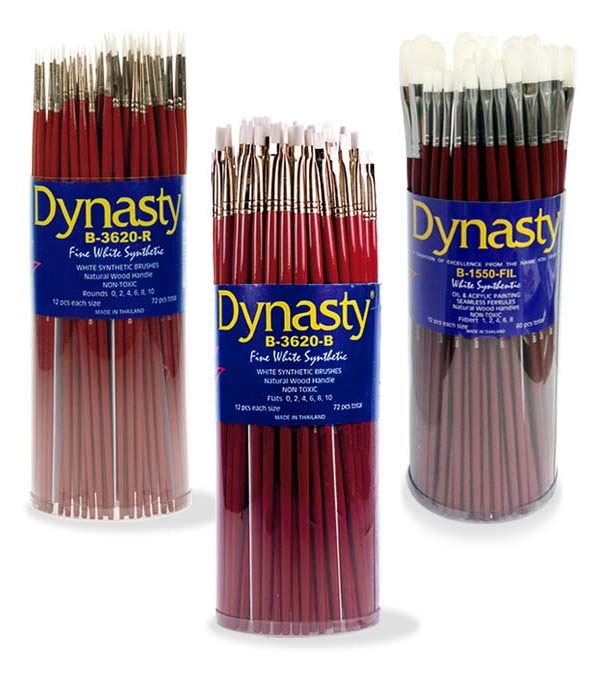 This brush series will move a lot of paint. 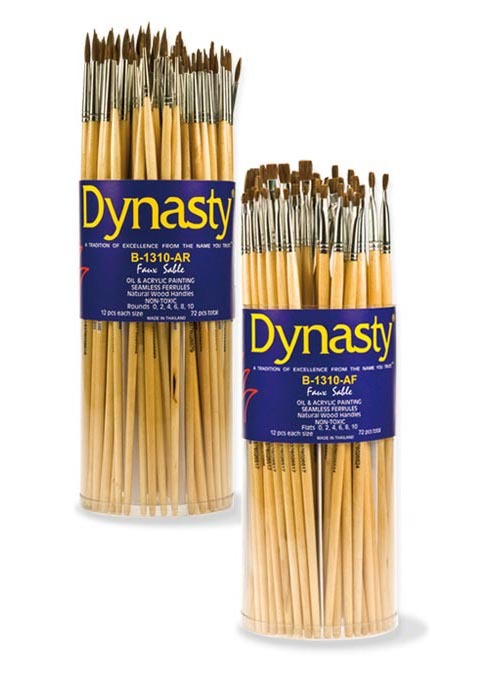 10, 12 Long Artist Lacquered Wood Interlocked White Bristle Bristle sizes, Interlocked construction which enhances the characteristics of natural hair. 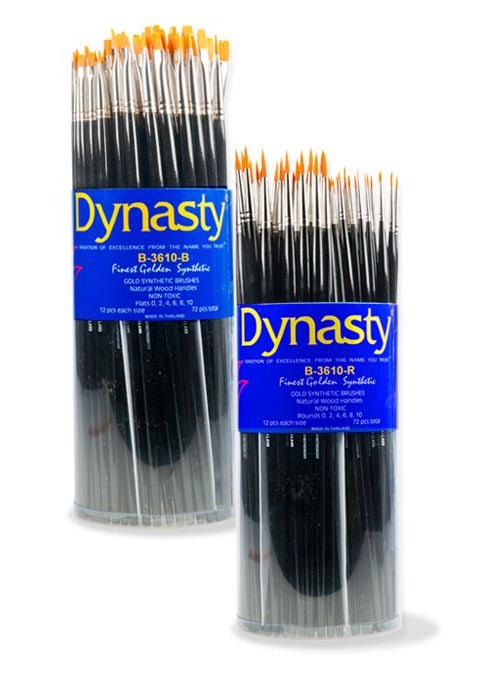 This brush series will move a lot of paint. and point, resilient with great spring. 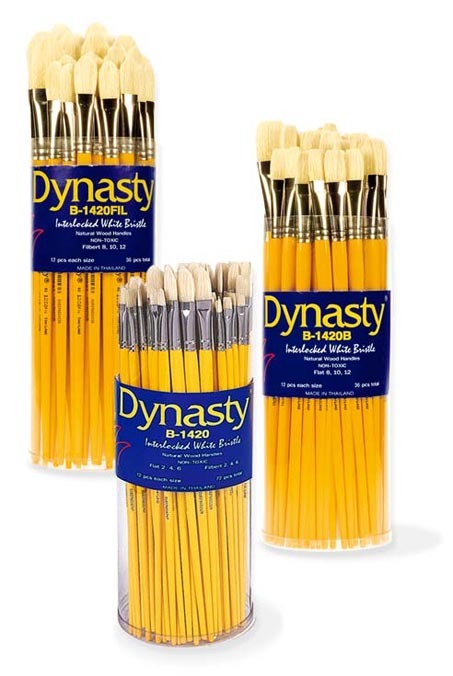 Synthetic Bristle size, large reservoir, maintains point and chisel. 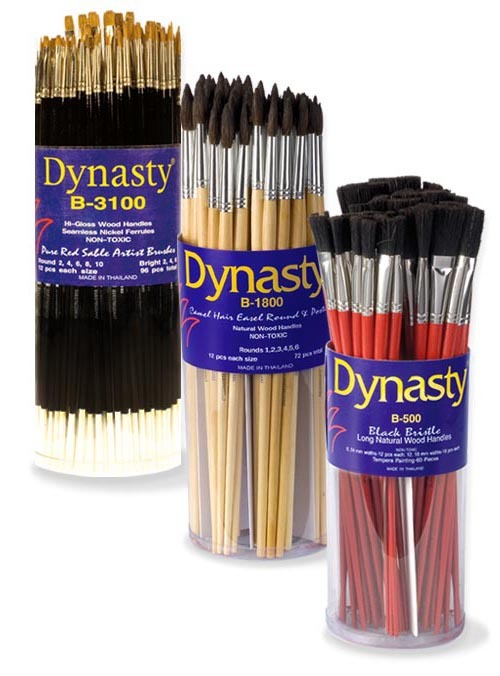 Wood Black Bristle Student grade easel brushes. Medium – tempera & acrylic.